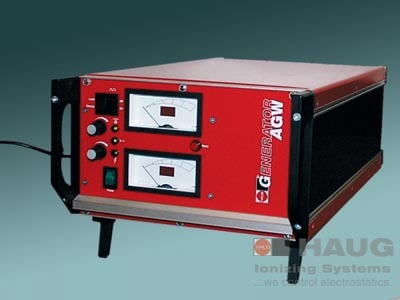 >HAUG charging systems are intended for the contact-free application of electrostatic charges. These systems are used wherever different materials need to be fixed to one another electrostatically. This electrostatic fixation is intended to support downstream processes such as the film overlap in packaging machines. At least one of these materials must be insulating.